We talk about the new Wouxun KG-UV7D and KG-UV9P 7 watt radios as well as the new Midland T290VP4 and T295VP4 GMRS radios. We’ll discuss the comparisons between radio wattage and performance, how much more power these new handhelds have, and debate whether this is the beginning of a new trend towards higher powered radios, or not. © 2019 Cricket Ventures, LLC. All rights reserved. This entry was posted in Two Way Radio Show Podcast and tagged Midland, Wouxun, KG-UV7D, KG-UV9P, high power handhelds, T290VP4, T295VP4 on April 5, 2019 by Rick. We tell you which Motorola radios are popular with retailers and why. We’ll also take comments and questions from our blog, YouTube channel and forums. We explain why the Motorola CLS1110 and CLS1410 on-site radios are so popular with many businesses. We’ll discuss why radios are used for communication in dental offices, restaurants, retail stores and other onsite business operations and why many of them prefer the CLS series of Motorola radios in particular. Comments and questions from readers of our Two Way Radio Blog, viewers of our YouTube Channel and members of the Two Way Radio Forum. This entry was posted in Two Way Radio Show Podcast and tagged Motorola, CLS1110, CLS1410, podcast, business radios on March 4, 2019 by Rick. We tell you about two new 900 MHz business radios from Motorola. We’ll also tell you about promotions and rebates available from a couple of manufacturers and take some of your comments and questions from listeners of The Two Way Radio Show and readers of our blog. We tell you about the new Motorola DTR600 and DTR700 license free digital 900 MHz business radios. We’ll discuss some of their new features and functionality and discuss the advantages of using these radios for business operations. Watch our video programming tutorial! How to program the Motorola DTR600 and DTR700 digital radios will show you how to do it yourself. We tell you about some promotions and rebates from radio manufacturers, including a buy 6, get 2 free deal on Midland business radios and a cash rebate per radio offer on select Kenwood ProTalk business radios. Comments and questions from listeners of The Two Way Radio Show and readers of our Two Way Radio Blog. This entry was posted in Two Way Radio Show Podcast, Motorola and tagged Motorola, 900MHz, digital radio, DTR600, DTR700, license free, no license on February 18, 2019 by Rick. We discuss the question of whether or not sellers of two way radios should require customers to be licensed before they can buy a transceiver. Should ham radio dealers require their customers to have a license before shipping transceivers? We tell you the results of a recent Twitter poll on the question, read feedback from respondents to the poll, and discuss the pros and cons of such a requirement. This entry was posted in Two Way Radio Show Podcast and tagged licensing, radio license on December 21, 2018 by Rick. We discuss the upgrade of the Wouxun KG-UV950P quad band mobile radio into the new Wouxun KG-UV980P, tell you which Wouxun radios are FCC type accepted, and announce some new TYT DMR radio bundles for your ham shack. The Wouxun KG-UV950P is a popular mobile radio among hams, and for good reason. It's a quad bander, with reception and transmission on 2m, 6m, 10m and 70cm frequencies, twin band simultaneous reception, cross-band repeat capability and all at a great low price. Now, Wouxun is giving this mobile a makeover, with a new front panel, new controls, a new display and a new model number. The new model is the Wouxun KG-UV980P. Is your Wouxun radio FCC type accepted for business, amateur or anything? Check out our Wouxun Radio FCC ID and Type Acceptance Chart! We introduce the TYT MD-9600 Digital Ham Radio Base Station Kit and TYT Digital Ham Shack Mega Bundle. This entry was posted in Two Way Radio Show Podcast and tagged Wouxun, podcast, FCC ID, FCC type acceptance, Mobile Radio, KG-UV950P, KG-UV980P, quad band radio, TYT bundles on December 14, 2018 by Rick. We announce a new initiative by Kenwood to offer refurbished radios, talk about some new frequencies for business radios and a discuss a radio operator who was fined for impersonating first responders. Kenwood is a popular and respected manufacturer of two way radios, and their ProTalk line is used in many businesses and industries. Now, the company is offering an alternative to their brand new products – Kenwood refurbished radios. We discuss a report and order by the FCC to open additional frequencies for business and industrial use that takes them closer to channels used for the GMRS. We’ll tell you about a radio operator who was fined by the FCC for impersonating first responders on a public safety frequency. Did the FCC accomplish anything with their recent enforcement advisory on unauthorized UHF/VHF radios or did they simply drop a grenade and walk away? This entry was posted in Two Way Radio Show Podcast and tagged GMRS, Kenwood, FCC, refurbished radios, enforcement advisory, business frequencies, FCC fine on November 30, 2018 by Rick. We discuss the latest FCC crackdown on Baofeng and other import radios and the possible ramifications for users of these radios and the US market. 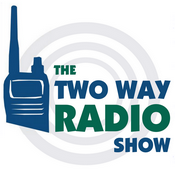 We discuss the recent FCC enforcement advisory against the import, sale and use of unauthorized VHF/UHF two way radios. We’ll talk about how it could affect users of these radios and how it could impact the US two way radio market. This entry was posted in Two Way Radio Show Podcast and tagged crackdown, import radios, Baofeng UV-5R, baofeng ban, FCC advisory, FCC crackdown on October 10, 2018 by Rick. We interview Keith Chafin from Icom and discuss the new Icom IP501H Sim Card LTE Two Way Radio. We also share our experiences using weather radios during Hurricane Florence and read some of your comments on our discussion in episode 126 about the FCC citation of the Baofeng UV-5RV2+. In our last episode of The Two Way Radio Show, we announced a new IP based radio from Icom called the IP501H that offers instant, full duplex communication. Well, it’s here, and this could be a real game changer! We interviewed Keith Chafin from Icom to find out more about this new radio. Question from a member of the Two Way Radio Forum. This entry was posted in Two Way Radio Show Podcast and tagged Icom, weather radios, Baofeng UV-5R V2+, FCC citation, IP501H, Interview, Keith Chafin, Hurricane Florence, BF-F8+ on September 21, 2018 by Rick. We discuss the recent citation by the FCC for the illegal marketing of the Baofeng UV-5RV2+. We also talk about a new Kenwood digital radio, an new Icom LTE radio and price increases on Chinese radios due to tariffs. We discuss the recent citation by the FCC for the Baofeng UV-5RV2+ and what it could potentially mean for all versions of the UV-5R. We tell you about the new Kenwood ProTalk NX-P500 Digital Business Two Way Radio and a new Kenwood rebate promotion. We tell you about the new IP based Icom IP501H Sim Card / LTE Two Way Radio. We are about to experience the first price increase due to the tariffs on Chinese transceivers. What do you think of our discussion about the FCC citation and what it could mean for other Chinese radios? Send in your comments for Danny, Anthony and Rick to show[at]buytwowayradios.com. If we read your comment in the next episode, we'll send you a FREE Two Way Radio Show t-shirt and a swag bag full of free stuff! Visit us at www.twowayradioshow.com! This entry was posted in Two Way Radio Show Podcast and tagged Kenwood, Icom, tariffs, Baofeng UV-5R V2+, FCC citation, IP501H, NX-P500, chinese radios on August 22, 2018 by Rick.